Woman goes to absurd lengths to prove men on Tinder will overlook anything to get laid. 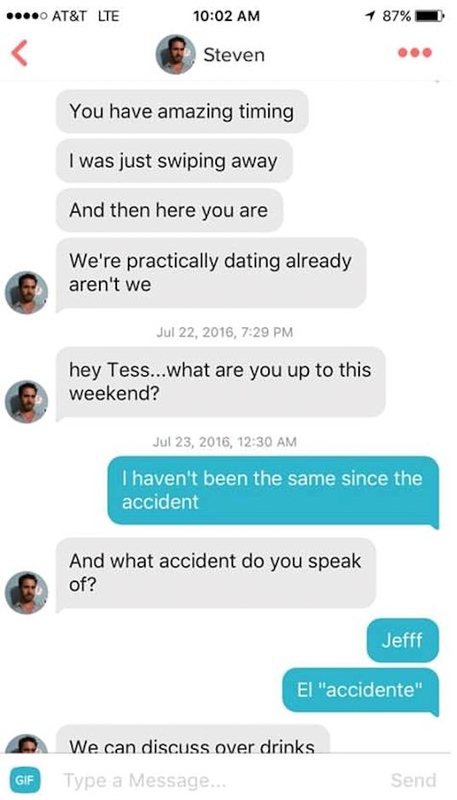 Writer/comedian Tess Johnson is going viral for a tweet demonstrating that when it comes to men on Tinder, thirst conquers all. The 25-year-old started trolling some random dude named Steven by sending him the weirdest messages she could think of, but he would not be deterred. By this point, she was on a roll. She started targeting other guys, like this shirtless tooth-brusher. 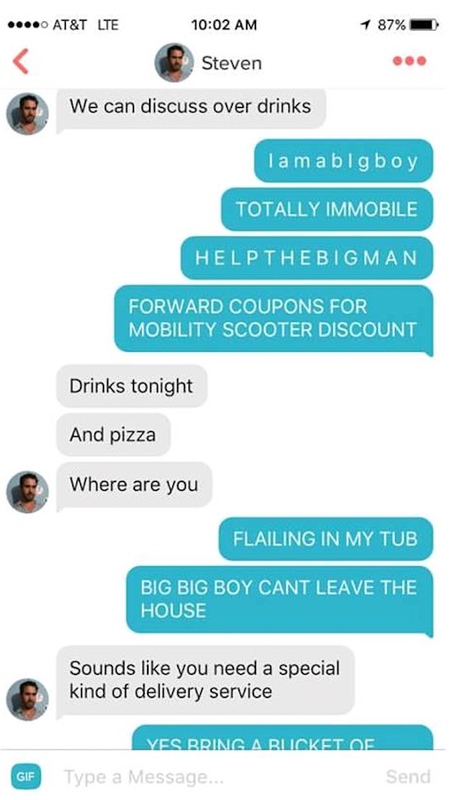 Is it fair to subject random men to this kind of humiliation, taking advantage of the fact that most dudes on Tinder never get a message back in the first place? Probably not. But is it funny enough to be worth it? Definitely.